Making business travel more rewarding. Business travellers often tell me that one of the things they find most frustrating is being unable to redeem their frequent flyer miles. Typically, someone taking long-haul flights on the best airline for their business trips, often finds it difficult to redeem an airline’s miles for their personal leisure travel/flights, often with that same airline. Your regular business destination might not be a great location to take your family on vacation. Or you simply might want to go somewhere completely different when you travel for leisure. So it’s great to find that some airlines have struck deals that allow you to accrue rewards on one and redeem them for flights on the other. A great example of is Emirates and easyJet. Emirates Skywards members can use Skywards Miles to pay for their easyJet flights, inclusive of taxes, charges and airport fees, as well as for optional extras such as sports equipment. For example, a business class return trip from London to Dubai on Emirates can earn you 11,400 Skywards Miles. Make that trip four times and you could earn more than 45,000 Skywards Miles. With easyJet flying on over 600 routes to more than 30 countries, it’s simple to find a great leisure destinations to spend your Skywards Miles on. And with redemptions for easyJet flights starting from just 7,500 Skywards Miles for a one way trip, you could be arranging holiday flights very soon. Talk to your GTM Account Manager next time you take an Emirates flight to check the Skywards Miles you can earn. You might find it very rewarding. https://gtm.uk.com/wp-content/uploads/2018/09/Making-business-travel-more-Rewarding.png 512 1024 Paul https://gtm.uk.com/wp-content/uploads/2015/05/logo_trans.png Paul2018-09-19 15:48:372018-09-19 15:48:37Making business travel more rewarding. easyJet has introduced further enhancements to the fares it offers business travellers who book via a Travel Management Company (TMC). When reservations are made via a Global Distribution System (GDS) new benefits have been added which are not available to passengers who book via easyJet’s web site. For example, easyJet can now identify those passengers who have booked via their TMC’s GDS, enabling those customers to change to an earlier flight at no additional cost (the transfer can be made at the airport Customer Service desk). Furthermore, those passengers who also book an easyJet Flexi fare are now offered a £5 / 7EUR voucher to spend on food and drink once on board their flight. To redeem the voucher you simply need to show the crew your Flexi boarding pass. https://gtm.uk.com/wp-content/uploads/2013/11/easyJet.gif 35 128 Paul https://gtm.uk.com/wp-content/uploads/2015/05/logo_trans.png Paul2016-11-22 12:05:432016-11-22 12:05:43Booking easyJet via GTM! Fast Track Security Access For easyJet PlusCard Holders. easyJet Plus annual card holders will now benefit from access to Fast Track security at 35 airports* across Europe from the 19th March 2015. In order to qualify for Fast Track security, please ensure that you have advised us (Global Travel Management) of your easyJet Plus card number and/or that it is registered on your easyJet mobile app. Also, from 19th March easyJet Plus annual card holders can take a second smaller under seat bag, such as a handbag, or laptop bag, on to flights in addition to a cabin bag up to a maximum size 56x45x25cm (including handles and wheels). easyJet Plus annual membership already provides a variety of benefits, including allocated seating including extra legroom and upfront seats on all bookings, Dedicated Bag Drop desks in every airport and easyJet Plus Speedy Boarding. Existing card holders will benefit from this addition immediately. Those wishing to purchase a card can do so via easyJet.com. * Available at: Aberdeen, Athens, Basel, Belfast, Brussels, Budapest, Cagliari Sardinia, Cologne, Dusseldorf, Edinburgh, Faro, Geneva, Glasgow, Hamburg, Lisbon, Liverpool, London Gatwick, London Luton (from Oct ’15), London Southend, London Stansted, Lyon, Madeira, Manchester, Milan Malpensa, Moscow, Munich, Naples, Newcastle, Nice, Paris Charles De Gaulle, Paris Orly, Porto, Prague, Tallinn and Venice. https://gtm.uk.com/wp-content/uploads/2015/05/logo_trans.png 0 0 Paul https://gtm.uk.com/wp-content/uploads/2015/05/logo_trans.png Paul2015-03-17 11:44:202015-03-17 11:44:20Fast Track Security Access For easyJet PlusCard Holders. Easyjet has seen its pre-tax profits rise by 51 per cent to £478 million after benefiting from an increase in business travellers. The no-frills carrier saw total revenue rise by 10.5 per cent to £4.26 billion for the financial year ending on September 30, 2013. Last year, Luton-based Easyjet made pre-tax profits of £317 million on the back of revenues of £3.85 billion. 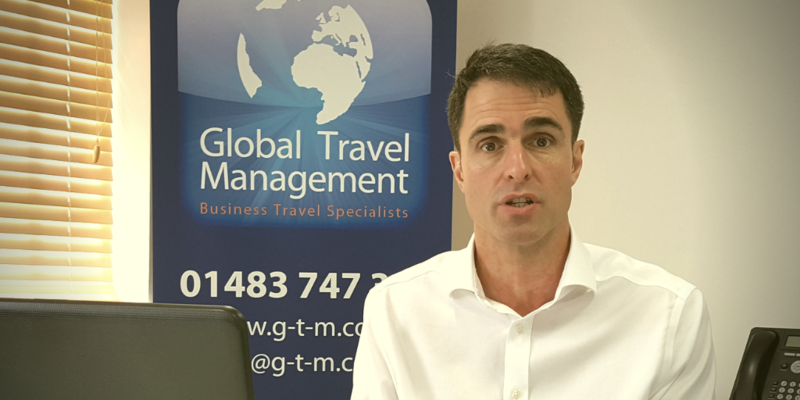 Total revenue per seat was up by 7 per cent year-on-year to £62.58 helped by the impact of the introduction of allocated seating and the continued focus on business travellers who generally spend more on their tickets than leisure passengers. The airline said there had been “good progress” in its plans to attract more business travellers with the introduction of fast track security for Flexi Fare customers at 26 airports and a new inclusive fare, which is only available through trade channels. Still a real Low-cost Carrier? https://gtm.uk.com/wp-content/uploads/2015/05/logo_trans.png 0 0 Paul https://gtm.uk.com/wp-content/uploads/2015/05/logo_trans.png Paul2013-11-20 18:18:232013-11-20 18:18:23easyJet profits surge. Network update – new routes on sale. Following the recent purchase of Flybe’s slots at London Gatwick, easyJet has strengthened its route network with the addition of new routes to Paris CDG, Jersey & Newcastle. The new services will start from the beginning of the summer schedule (30 March 2014) and flights are on sale now. https://gtm.uk.com/wp-content/uploads/2015/05/logo_trans.png 0 0 Paul https://gtm.uk.com/wp-content/uploads/2015/05/logo_trans.png Paul2013-10-24 08:52:042013-10-24 08:52:04Network update - new routes on sale. New easyJet Cabin Bag Guarantee. Effective 2nd July 2013, easyJet is introducing a new cabin bag guarantee in order to try and alleviate the problem of a lack of cabin space on board their aircraft – and good luck to them! Provided a passenger has a cabin bag which measures no more than, 50 x 40 x 20 cm, including wheels and handles, easyJet will guarantee that it will always travel on board their aircraft, either in an overhead locker, or under the seat in front of them. Passengers may still bring one slightly larger cabin bag on board (up to the existing maximum size of 56 x 45 x 25 cm including wheels and handles), however, on busy flights the crew may have to put bags of this size into the aircraft’s hold. As always, there are some exceptions, easyJet Plus card holders, Flexi Fare and Upfront and Extra Legroom passengers may still bring one piece of cabin baggage up to 56 x 45 x 25. HOWEVER, they must use easyJet Plus Speedy Boarding to board the aircraft first in order to secure an overhead locker! We (GTM) will be interested to hear from customers about how they get on with this new policy. https://gtm.uk.com/wp-content/uploads/2015/05/logo_trans.png 0 0 Paul https://gtm.uk.com/wp-content/uploads/2015/05/logo_trans.png Paul2013-05-16 14:25:192013-05-22 09:17:14New easyJet Cabin Bag Guarantee. Passengers purchasing a Flexi fare with easyJet can now beat the queues by using the Fast Track security lanes at twenty of the airports easyJet operates from – see below. Aberdeen, Athens, Basel, Budapest, Koln-Bonn, Dusseldorf, Edinburgh, Faro, Glasgow, Hamburg, London (Gatwick, Southend & Stansted), Lisbon, Liverpool, Munich, Newcastle, Porto, Prague, Tallinn & Venice. Passengers who purchase a Flexi fare, simply need to show their boarding pass to the security agent (at Fast Track security), or scan the barcode of their online boarding pass at the automatic barrier. Please note, however, that Fast Track security is only available for Flexi fare passengers with online printed boarding passes. https://gtm.uk.com/wp-content/uploads/2015/05/logo_trans.png 0 0 Paul https://gtm.uk.com/wp-content/uploads/2015/05/logo_trans.png Paul2013-05-01 07:42:332013-05-01 07:42:33Fast Track With Easyjet. 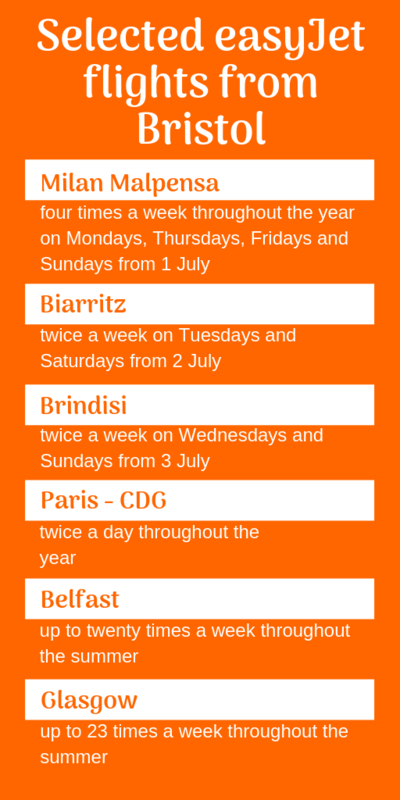 From April 30th 2013 easyJet is aiming to operate an online only check-in process. Today approximately 75% of easyJet’s customers check-in online and print their boarding pass prior to arriving at the airport. However, a significant number of customers still arrive at the airport without a boarding pass. This new iniative aims to drive the aforementioned figure to 100%. Therefore, and from 30th April, easyJet will be removing the traditional check-in desks and replacing them with Bag Drop desks instead. If you are due to fly with easyJet on 30th April…forewarned is forearmed! https://gtm.uk.com/wp-content/uploads/2015/05/logo_trans.png 0 0 Paul https://gtm.uk.com/wp-content/uploads/2015/05/logo_trans.png Paul2013-03-25 16:09:122013-03-25 16:09:12100% Online Check-in.